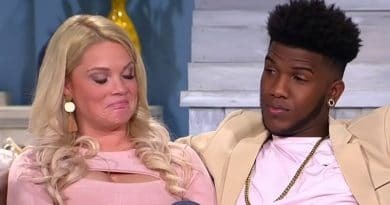 90 Day Fiance Ashley Martson seems to again be playing games when it comes to Jay Smith and the status of their relationship. After weeks of staying radio silent regarding the couple’s status, Jay was spotted in Ashley’s home. 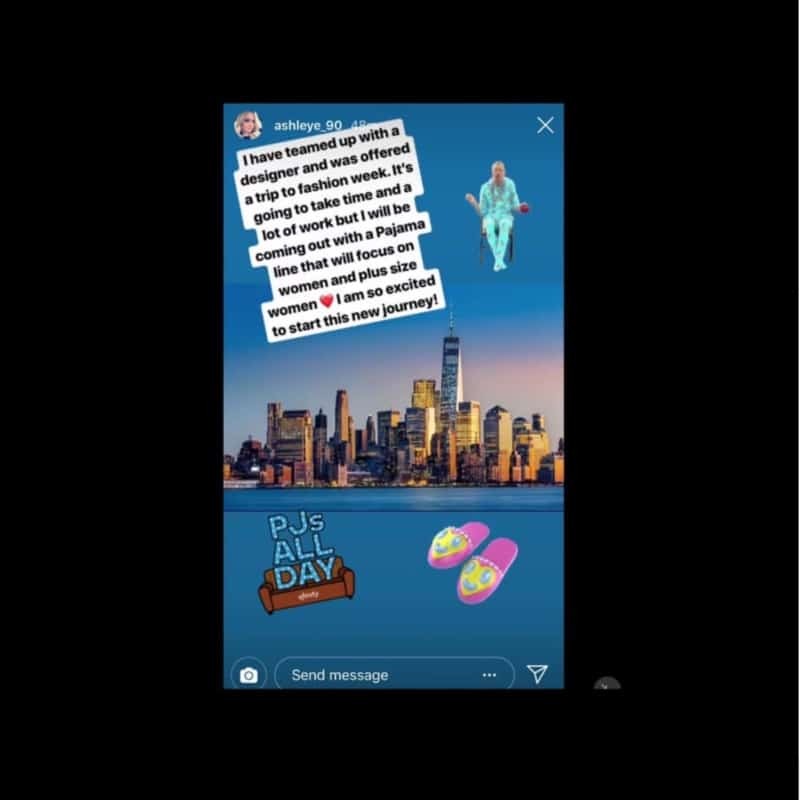 In the most recent development, fans took a screenshot of Jay peering around the corner while Ashley was in the middle of a live video. What’s the latest on this TLC pair? 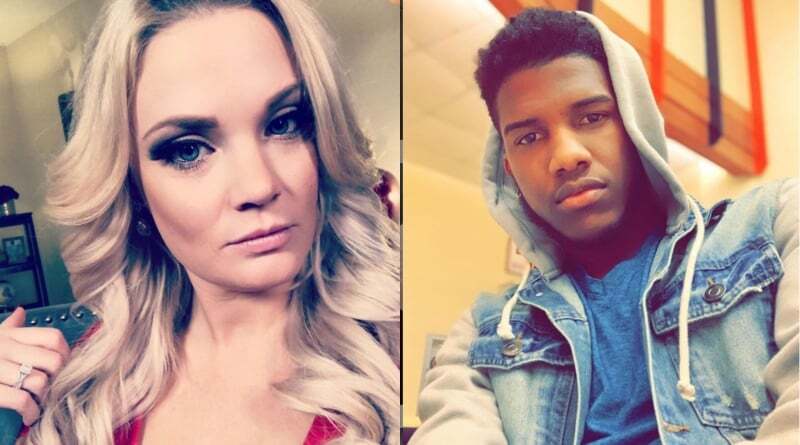 90 Day Fiance News: Ashley Martson and Jay Smith Scheming Again? In a previous Instagram live streaming video, Ashley Martson said that one of her kids was next to her. She laughed about something going on off-camera. Following an accidental camera slip, 90 Day Fiance followers saw that it was Jay Smith next to her – and not her kids. In addition, Jay recently posted an image on Instagram of him decked out in winter gear out in the snow. A location isn’t mentioned in the post, but it definitely looks like he’s in Pennsylvania. Further, Jay Smith posted an Instagram video of him lip-synching to an audio track. What makes this post interesting is that he’s resting his head on the bare leg of an unidentified female. The woman’s face isn’t in the shot, but most 90 Day Fiance watchers suspect that it’s Ashley Martson in the video. If it’s obvious that Jay is still with Ashley in her home, why does she still deny it? In the most recent 90 Day Fiance development, Ashley Martson was on another live stream. What makes this interesting is the fact that she continued to deny that Jay Smith was there with her. Thanks to screenshots of the live feed, it’s clear that Jay Smith is with her. He peeked around the corner mid-stream. Many fans are wondering why Ashley would straight up lie about him being there when he was literally right behind her on video. Is there something more going on or are they both trying to stir up more drama? It seems the 90 Day Fiance pair are definitely taking advantage of their extended time in the public eye. Apparently, Ashley Martson converted one of her kids’ rooms into a tattoo studio for Jay. In addition, Ashley recently announced that she is in the process of putting together a plus size women’s pajama line. She announced on her Instagram story that she teamed up with a designer and even scored a free trip to Fashion Week. Perhaps these perks are the reason for the stunts. 90 Day Fiance Fans Fed Up? Come back to Soap Dirt for the latest Ashely, Jay and 90 Day Fiance news and leaks. ← ‘Young and the Restless’ Spoilers: Nikki Confesses to JT Murder – Shuts Down Victor’s Trial?